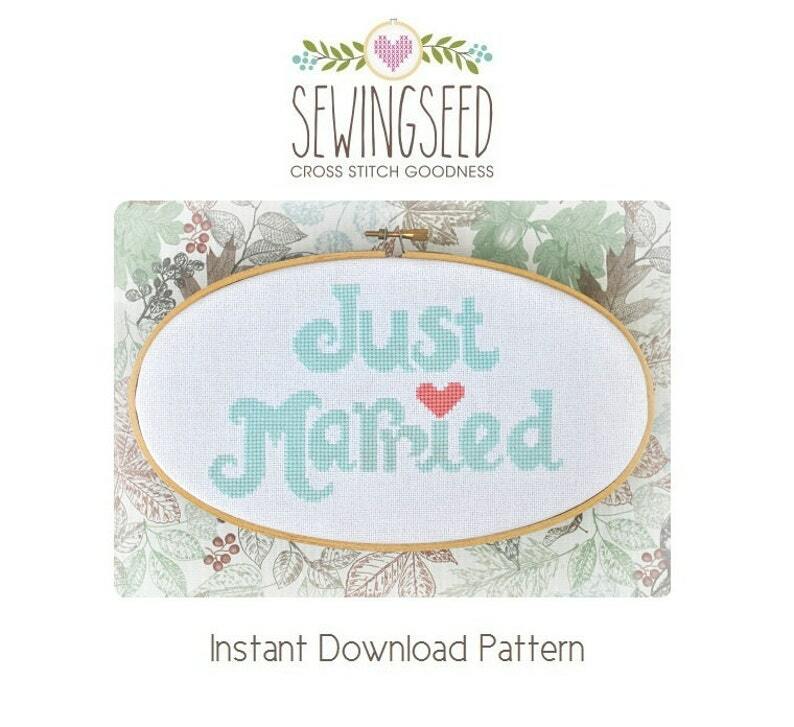 Just Married Wedding Cross Stitch Pattern available for instant download via Etsy. Very cute pattern and easy to follow. Digital download was easy.